Join neighbours of the North Saanich riding on Saturday, April 14 for a Day of Action to stop Kinder Morgan. Come and learn the importance of the government’s proposed oil spill regulations to stop Kinder Morgan. We will then take the time to comment in their online public consultation period. 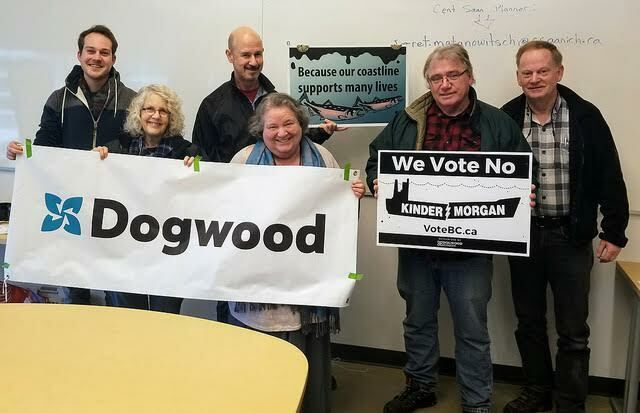 Attendees are also invited to stay and learn how to use Callhub, a tool that allows us to call thousands of Dogwood supporters and ask them to help stop Kinder Morgan. Click here to RSVP and join us on Saturday April 14 from 10:00 to 12:00 pm. Coffee will be available at the event.